This drawer cabinet highlights a rugged yet traditional style. 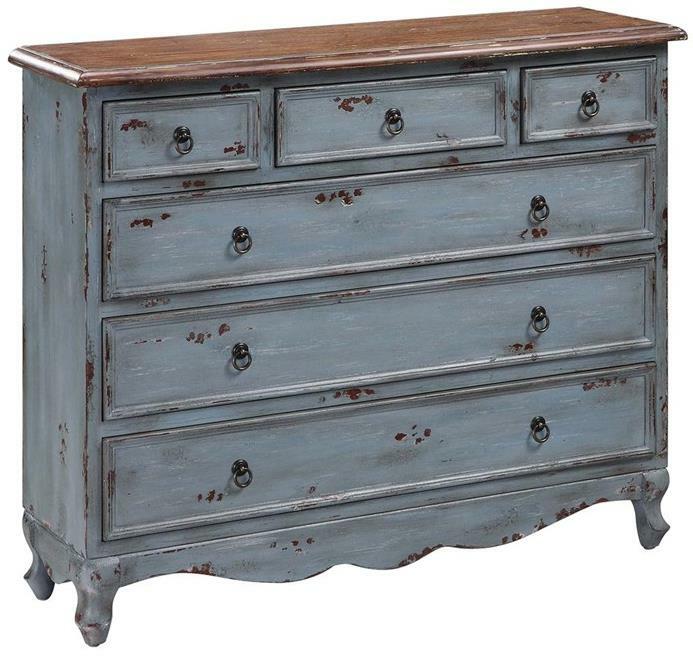 Featuring six drawers to accommodate all of your storage needs, the cabinet showcases beautiful base style accents and a distinctive weathered blue-gray finish. Constructed from wood and completed with an elegant top, this drawer cabinet is a wonderful piece for your living room setting. The Accent Furniture Shoreview Cabinet with Six Drawers by Crestview Collection at Miskelly Furniture in the Jackson, Pearl, Madison, Ridgeland, Flowood Mississippi area. Product availability may vary. Contact us for the most current availability on this product.